Having undergone a recent refurbishment Cascades is a great place to stay and enjoy the wonderful array of activities that Sun City has to offer. The grounds are dotted with waterfalls and streams that flow through lush, verdant forests, hence the name Cascades. The man-made lagoons and waterways offer refuge to countless flamingos, swans and other birdlife. The tropical environment is an oasis in the dry African bushveld, dotted with colourful orchids and other plants. The rooms are across several different categories and also feature family rooms and suites. All have air-conditioning, WiFi, tea and coffee station, safe, hairdryer, telephone, TV and modern en-suite bathrooms. Blackout curtains and soundproofing come as standard too. There is a stunning azure blue heated outdoor pool for all to enjoy complete with a beach, sun loungers and swaying palm trees. There's a kiddies only pool too. Set by the pool you will find the Luma Bar and Lounge, relax and enjoy a light lunch here or a refreshing sundowner as you watch the setting sun. The Bocado restaurant has a family focus, enjoy lunch or dinner alfresco. For something a little more formal, the Peninsula Restaurant offers international dishes, both a la carte and also buffet style, so there is something to fit every occasion, every mood and every taste. There are a number of facilities and activities available to all Sun City Resort residents, irrespective of which hotel they are staying at. From 18 holes on one of the two golf courses, to a day of fun at the Valley of Waves or a relaxing Spa treatment and an evening safari in the Pilanesberg Reserve, these can all be booked separately. Open: Cascades is open all year round. Location: The resort forms part of Sun City which is a two hour drive from Johannesburg. Rooms: There are 243 rooms across different categories, standard, luxury, superior luxury and suites. All have air-conditioning, en-suite bathrooms, TV, telephone, safe, hairdryer and a tea and coffee station. All rooms overlook the garden and pool area. Activities: There are various activities across the Sun City resort that guests can enjoy regardless of which accommodation they are staying at. 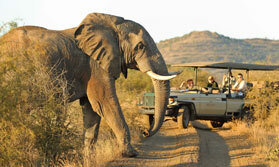 These vary from a round of golf, the Valley of the Waves, a luxurious spa, evening game drives in the Pilanesberg. Facilities: There is an outdoor heated swimming pool, the extensive grounds are linked by narrow pathways passing carp-filled lakes, streams & waterfalls. Dining: There are several restaurants to choose from rainging from snacks to a la carte sophisticated dining. Locations vary from poolside, indoors and outdoors. Children: The hotel welcomes children. Family rooms and interleading rooms are available. Health: Sun City is considered Malaria Free. Communication: There is good mobile reception, phone and complimentary WiFi. "Tired old hotel, needs some TLC. Breakfast ok, dining room freezing!!! On the plus side, Golf every day and transport provided to anywhere on Sun City"